Fred Phelps died earlier today. 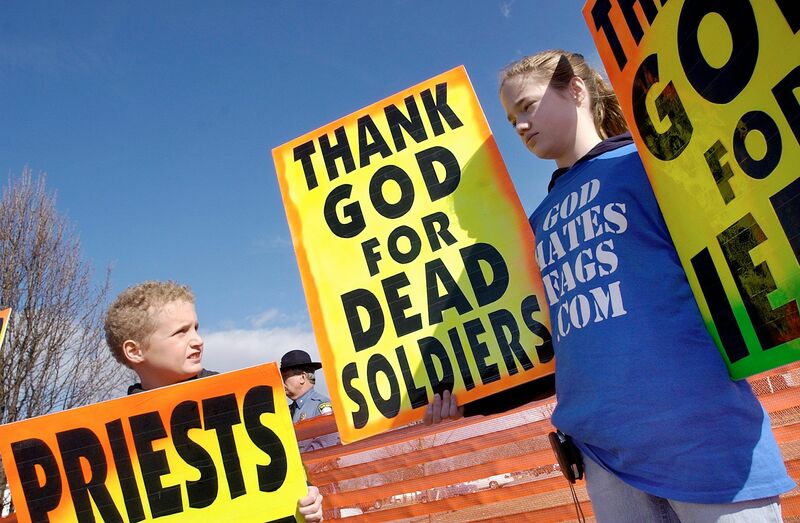 He led (until recently it seems, but the details are murky) the Westboro Baptist Church. The WBC gained international attention (and condemnation) for its protests at funerals for dead soldiers. It was also known for its ‘God Hates Fags’ signs. We here at the Death Reference Desk began covering Phelps and the WBC in 2009. You can read all of those posts here. Posted by John in Death + the Law and tagged obituaries, protests, soldiers, Westboro Baptist Church. Bookmark the permalink.